5-Ingredient cinnamon carrot fries are a sweet twist on traditionally baked fries. The carrots can be served as a side, a relish or an appetizer! Carrots are so versatile. They can be eaten raw, roasted, fried, mashed or even baked in a cake! Whether sweet or savory, you can transform them to fit your taste buds. 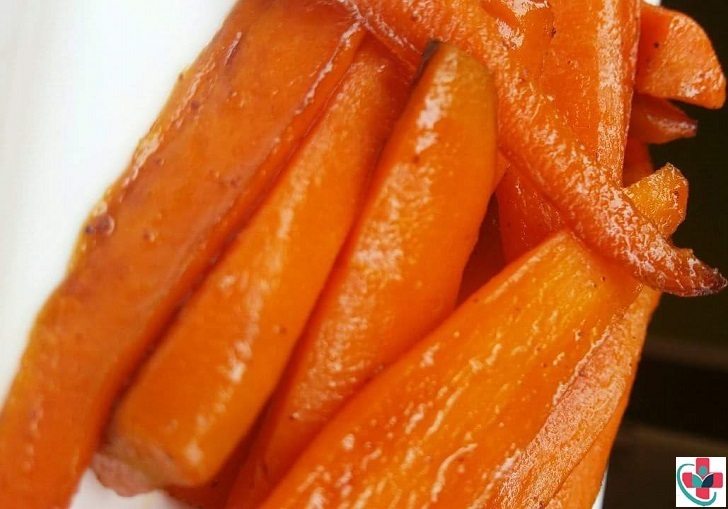 One of my favorite ways to enjoy carrots is cut and baked as fries! I love simple side dishes to go with a quick lunch or dinner, and this recipe fits the bill. If you’re making burgers or chicken strips, you may want fries on the side as well. Cinnamon carrot fries are perfect if you’re craving something a little sweeter than your average fry. Baked with a little coconut flour, the carrots hold up in the oven. You won’t be left with soggy, flimsy fries. Preparation time does not include time needed to cool before serving. - ¹/₂ teaspoon cinnamon powder. - in a small cooking pot add in the sugar and the water. Bring this to a boil stirring until all the sugar dissolves. Continue cooking for 1 more minute until you have a sugar syrup. Put this aside. - melt the butter in a pan. Immediately after the butter melts add in the carrots and toss well. Cook this on medium low heat for about 3 minutes then sprinkle the cinnamon on top. Mix well and cook for another minute. - Now add the sugar syrup and stir to coat the carrot sticks with it. - cook this for about 3 more minutes or until the carrots are done to your preferred level. her or lower depending on your calorie needs.